The York DB4 is a multi-functional dumbbell bench that converts into a sturdy sit up bench. It features 10 incline/decline angles and foam rollers for ankle and knee support. The bench holds a maximum weight of 150kg (331lbs) including user (100kg user + 50kg lifting). for submitting product information about York DB4 Dumbbell Bench We aim to answer all questions within 2-3 days. 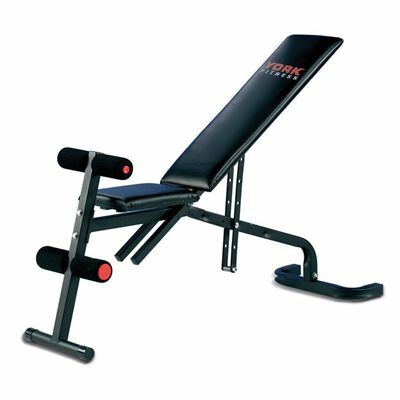 for submitting product information about York DB4 Dumbbell Bench. We aim to answer all questions within 2-3 days. If you provided your name and email address, we will email you as soon as the answer is published. How do you adjust the bench? Does it require unscrewing bolts and stuff? You have to unscrew the hand wheel, remove the bolt and place it through whichever hole you want the bench to be adjusted to, then you re-tighten the hand wheel. Please check the manual where this is shown (Instruction 8 through to instruction 10 explains how you move the hand wheel and bolt to achieve different positions). Does this product come with weights? No, it doesn't. This is just a bench on its own, but we have an exclusive offer. 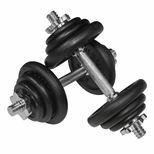 When buying this product you get 15% off the York 20kg Black Cast Iron Dumbbell. Does this bench convert to a flat bench? This bench Provides 10 incline/decline angles & converts to a sit up bench. The bench can also be used in a horizontal position. 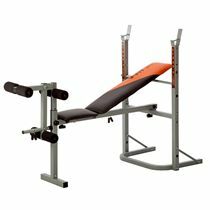 for submitting product review about York DB4 Dumbbell Bench.